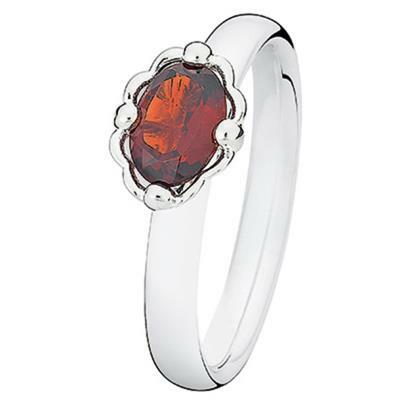 The birthstone for January is the Garnet - also known as the 'Pomegranate Stone', because the colour and shape resembles the seeds of the magical fruit. Its energy gives the wearer faith to commit and trust. Legend holds that this birthstone guides its wearer through the darkness of night, and gives protection from nightmares, poisons and wounds. It was traditionally believed to contain a flare of lightning inside it; it was therefore thought to keep one safe from lightning strikes and mishaps while travelling. Please note: This is an end of line product and does not come in branded packaging and does not have a manufacturer's warranty.